Resorts World Birmingham MOTOTRBO Two Way Radio System covers luxury seven stories high complex covering 538,000 square feet. This cruise ship shaped building offers a shopping outlet and leisure & entertainment complex comprising of 50 retail units, a 178-bedroom 5-star hotel, a range of restaurants and bars, an 11-screen cinema, a multi-use banqueting and conference centre and car parking for nearly 2500 cars. After being approached by their client REALM, DCRS established the full brief of requirements and discussed how they could work with the client as the buildings were being constructed. Seamless and fail-safe coverage was a top priority to give every staff member an instant response to ensure their customer service levels did not falter, and so they could be reachable should an emergency occur. Motorola Solutions Elite Platinum Partner DCRS Ltd did not hesitate in recommending a Motorola Solutions MOTOTRBO Radio System. 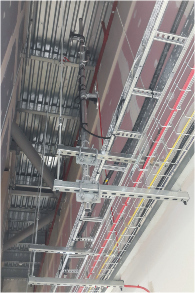 DCRS began work on radio propagation tests while the buildings were still being built, this allowed them to roll out all the required cables and spilt antenna solution that they had specified. Particular attention was paid to the aesthetics of the building to ensure the installation & finishing was completed to the highest sandards. 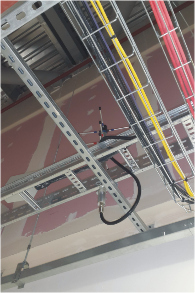 Due to the user requirement levels and future expandability plans following the completion of the build the radio system infrastructure was installed comprising of a MOTOTRBO™ Capacity Plus Solution. Instead of a dedicated control channel, the MOTOTRBO Linked Capacity Plus system creates a “rest channel”. All inactive radios monitor this channel. When a new call is initiated, it takes over the rest channel, while radios not involved in the conversation are directed to a new “rest channel”. 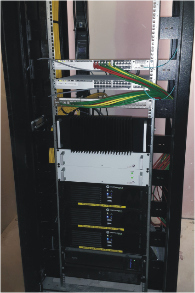 Dynamic trunking does not require a centralised controller or expensive OFCOM license. And it is highly fault-tolerant: even the complete failure of a repeater only reduces system capacity. INCREASE EFFICIENCY WITH SMARTER APPLICATIONS – Whether your team need to talk to each other in the field, or back at the office, or they need to use data applications such as text messaging, location tracking or work order tickets, and digital telephone patch to communicate seamlessly between radios and mobile phones. The three Motorola Solutions MOTOTRBO™ repeaters provide six simultaneous voice conversations and eleven groups to share the repeaters capacity efficiently; this carries communication for all the users who vary from a Shopwatch System, Casinos Staff, Security, Facilities to the Hotel on site. The development receives 100% coverage, ensuring the security of guests and enabling Resorts World staff to run an extremely responsive and efficient customer services programme. The initial rollout totalled 100 MOTOTRBO™ DP4000 Series hand portable radios. Each hand portable provided support safety applications such as lone worker, an emergency button and differentiated levels of user functions for each team and their requirements. 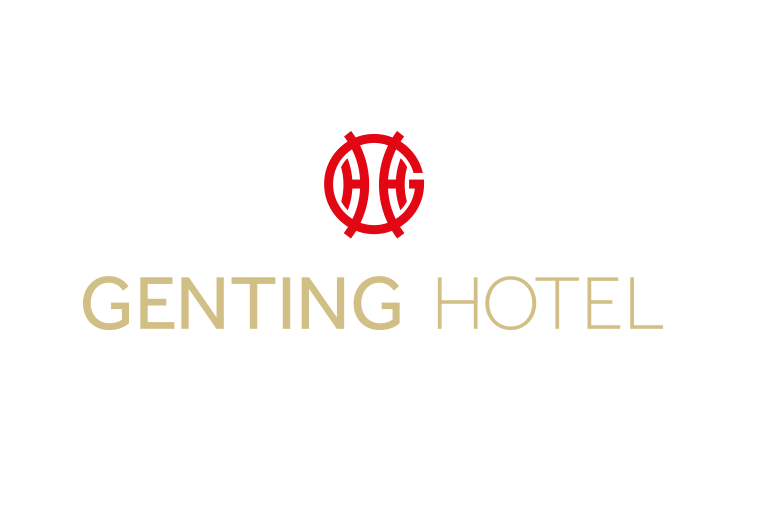 After the system had been in situ for six months, the Management Team at the Genting Hotel decided they would benefit from Alarm Integration that would give them notification on their digital two-way radios. With 178 rooms to cover they need to ensure they could react to alarms in a safe and controlled manner in the event of a false alarm or real emergency. Each floor of the hotel is in a separate zone so that a phased evacuation can occur to prevent overcrowding at the fire exits. Clear and concise messages are monitored by the Senior Security personnel with the Management team being able to override any announcements from various control points within the hotel via their two-way radios. The system has in-built line monitoring that continually checks for faults to ensure optimal operation. With a full SLA in place, the system is always protected allowing DCRS to compile data from event logs, offer rapid response times out of hours and an annual service of the infrastructure. These contracts extend beyond the initial build and installation phases and focus on on-going general service and maintenance of your two way radio system. With bespoke benefits and system, specific plans and costs to ensure your radios and/ system are always performing at 100%. We offer three levels which you can include but are not limited to: Annual inspections, guaranteed on-site response times, fast track service, unlimited repairs and guaranteed parts availability and a free collection and delivery service. 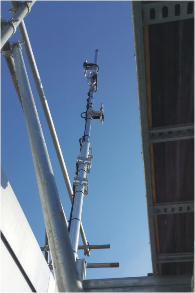 This voice & data radio solution was installed on budget and completed well within the specified timetable.